Where in the world did we end up today? It's Wednesday, the 14th of November, 2018. After being up nearly 36 hours transiting flights and going through visa immigration, we're finally in a spot to hook up to some wifi and jot some of our thoughts down. 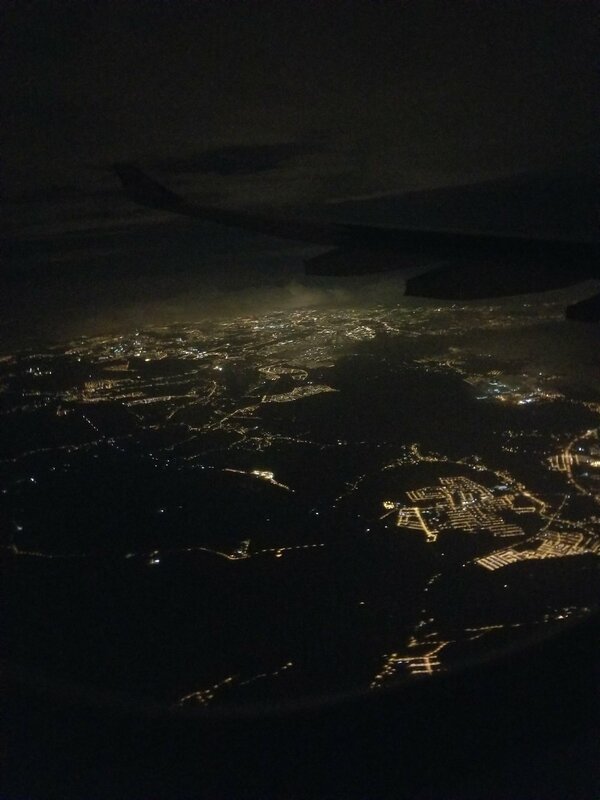 After our three-hour layover in Kuala Lumpur, Malaysia, we reached our final destination of Ho Chi Minh City, Vietnam. We've been to Da Nang once before from the 5th-9th of March, 2018 during our time in the Navy, but our experience was cut dramatically due to the constraints. Now it's our time to travel the right way. Where did we stay the night in Ho Chi Minh City? Although we booked Jungle House months in advance, they had no idea of our booking upon arrival. Couple that with no understanding of how much we needed to pay and us having to explain it to them, it felt like we ran the endeavor. We were also informed that the hostel had been booked by other guests (after us), overlapping our reservation with theirs. The manager said he'd forward us to another hostel for the next two days we had booked. The whole ordeal wasn't a serious concern to us, but the lack of awareness took us by surprise; perhaps Japan spoiled our expectations of guesthouses with their cleanliness and professionalism. Exiting the cool airport into the hot, humid afternoon air left us swarmed by hundreds of locals hustling for taxi rides, merchants selling knick-knacks, and tour buses with inflated tourist prices headed every which way. Taking the 109 bus to District 1 for 20,000 ($0.85), we made it down towards our hostel, but we still had a couple hours to kill before check in. 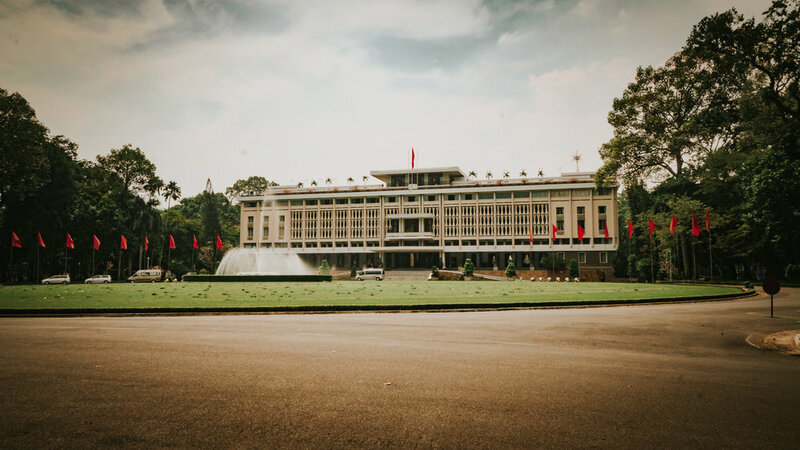 Looking around the area, we (kind of) saw Independence Palace. The palace itself was closed, but we saw it from the outside! We saw this first hand on our way to the hostel; vendors swarmed us with offers to buy everything they had (polarized sunglasses and lighters this time). Locals played dominoes on the street corner while others snoozed in their hammocks amidst the beep-beep of motorbikes and taxis. We read quite a bit about this while preparing for our trip, but experiencing it in person is tremendously different. Being our first day here, we didn't grab too many photos as we were trying to get situated and find our hostel. Not without stopping for some pho and fruit smoothies first, though! After getting situated at the hostel, we got cleaned up a bit and then caught some Z's. Exhausted after a long flight and a lot of moving around, a solid nap saved the day as we awoke three hours later feeling refreshed. Hungry, we set off into the town to get some food. We ended up walking toward a Hindu Temple which was right off the main road. We were followed by people demanding us to buy incense, so after a brief glimpse of the inside we got out of there. 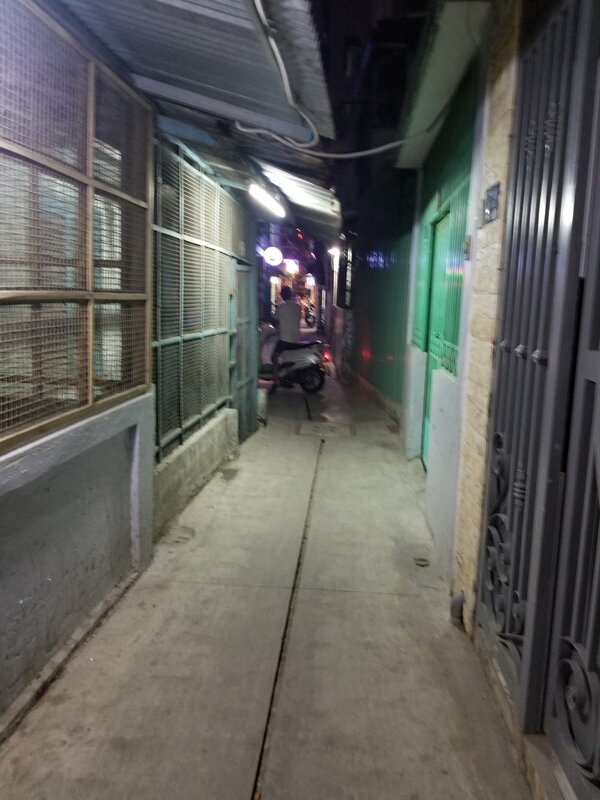 Walking down Bui Vien street, we were groped by Asian masseuses, shouted at by Vietnamese peddlers. and honked at by motorbikes. Eventually we stumbled upon a decent-looking restaurant, so we chose to eat there. Garrett got tofu and eggplant and Ben got pho (again), and both entrées were great. The meals here are a drastic cut in price from western counterparts, saving our budget but also providing us with incredible value. The food is ultimately the same, so we can enjoy everything without worrying about our expenditures. Afterward, we walked back through the market towards the hostel. Rubbish of all sorts was piled in the alleys as rats and stray cats scurried underneath the street lights. Dodging creatures of all types, we made it back to our hostel for the night. How much did we spend on our first day in Vietnam? Overall Vietnam has proved to be a great budget location, but we've only just started. To see how our adventures progress, be sure to check out our IG or FB page. Thank you for all the love and support! Support us on our journey, and help yourself along the way!